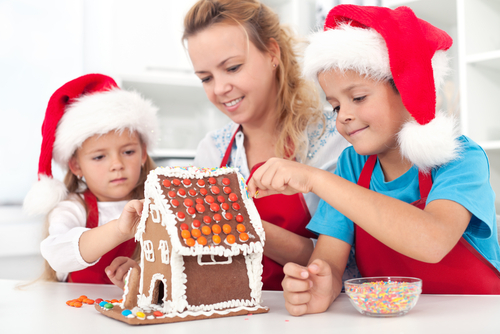 Are YOU Sudocrem’s 2011 Christmas Superchef? Sudocrem launch their Christmas Facebook competition – to crown their ‘2011 Christmas Superchef’ - the grand prize being a 3 day trip to one of France’s top cookery schools for two people. Sudocrem are getting stuck into the Christmas spirit this year by asking the nation’s parents to grab their cooking utensils, chef’s hats and create and share their best Christmas themed recipes on their Facebook page. Entrants will be judged by Channel 4s ‘How Clean Is Your House’ hostess, Aggie Mackenzie (who has just released ‘Aggie’s Family Cookbook’), who will select three winners who will win (first prize) a 3 day cookery course in France for 2, (second prize) a £150 Selfridges Christmas hamper and (third prize) £75 Marks & Spencer’s vouchers. Step 4 - Keep your fingers crossed that Aggie takes a shine to your creation! Sudocrem Antiseptic Healing Cream has been helping to soothe sore skin for almost 80 years. The market leader nappy rash cream, it’s used by mums, dads and healthcare professionals everywhere. Unlike some nappy rash products on the market, Sudocrem Antiseptic Healing Cream is a licensed medicine, which means we’ve had to submit clinical data proving that Sudocrem is an effective and safe treatment and of consistent high quality. • It contains an emollient that soothes sore or inflamed skin. • It works as a mild local anaesthetic to help ease pain and irritation. • A water-repellent base forms a protective barrier, helping to stop any irritants (urine and faeces) coming into contact with the skin. This press release was distributed by ResponseSource Press Release Wire on behalf of Orbital Media Network in the following categories: Leisure & Hobbies, Home & Garden, Women's Interest & Beauty, Food & Drink, for more information visit https://pressreleasewire.responsesource.com/about.